So I was thinking of picking a different skill every month or so that our 3 kids - two girls aged 10 and one boy aged 8 - and us 2 adults could learn or work on. We're not looking for anything too detailed or time-consuming, more something low-key and fun that's still a useful skill and that can be mastered within a month or so in a playful manner (so no 'learning the piano' or similar things that take a long time to learn or require specialized instructors). Bonus points if it's something we can do in a few afternoons around the house, or that doesn't need a ton of specialized tools. A few restrictions: my son has dyslexia, so anything that involves a lot of reading is not fun for him so is therefore out. My kids are picky eaters, so adventurous food stuff is probably out for now. Enough to be getting on with, but would love more ideas from the ever-creative AskMe team! The key thing is that it can't be anything high-pressure, overly competitive or super-difficult - just a fun thing that we can do together and that will hopefully be a good life skill. Thank you! Juggling would be great- start with scarves, and folks who get good at that can try balls. My dad liked to do this with athletic type things, though not in any sort of planned skill learning or timeline sort of way. Cooking, baking, and food skills: making jam, making chocolates/truffles, making cupcakes, making bread. These can go all the way from basics like cornbread-in-a-box to scratch cake with scratch icing. Michael's and Jo-Ann have a ton of basic crafting kids for kids -- you could cover (hand) sewing, t-shirt decoration, assembling balsa wood puzzles, and a whole bunch of other things. Learning a basic magic trick. Basic navigation stuff like where are the neighborhoods or destinations in your city, how to use a compass and map, etc. In the summer you could do swimming skills and diving or how to turn at the end of a lap. Learn to build/code for a simple robot -- maybe a lego mindstorms thing, or a raspberry pi car? Learn to forage for (safe!) mushrooms and berries. Learning to hammer a nail straight into a board at different angles and in tighter spaces is a useful skill that will last a lifetime—likewise, knowing how to drill a pilot hole (and why) before using a screw or nail to join parts together is quite a handy skill. Teach them how to use a level (and why). Maybe build a useful box together to store things in (or whatever) for fun. This is stuff I learned at a young age, and it never left me. Repairing stuff and hanging your own shelves because you know how is awesome. Picking a lock (or at least, how to bypass basic locks). Which can also lead into some sort of ethical training. How to mend basic clothing items, like replacing a button or fixing a hole in a sweater, by hand. How to sew using a sewing machine. Fix up your bikes (spring is here! ), adjust brakes. Print and cut out pictures of a bunch of foods. Mix and match the pictures on plates for lots of combinations that demonstrate a good balance of veggies, fruits, proteins, grains, etc. - Take apart an electrical outlet to see what it's made of, or rewire a dining room light to be on a dimmer switch, etc. Basics and safety of home electric wiring. - How to dance. YouTube has a treasure trove of different dances broken down by choreographers for easy learning. Each week the next kid gets to pick the dance they want to learn. - How do adults pay bills? What do these things we take for granted really cost? Show them some bills - the water bill, the power bill, the mortgage. Take them through how each month you have to budget for them, pay them, file them, etc. One idea: maybe each child could work on a different thing, so that they don't feel in competition with each other? For instance, in June, Girl A could work on cooking something, Girl B could work on basic robotics, and your son could work on sewing a button; then in July, your son could work on cooking something, Girl A could sew something, and Girl B could learn to locate Polaris in the sky. Also, how awesome would it be if they came up with the list themselves? Knowing how to darn a hole in a sock is useful. It's smarter than tossing them out and buying new ones, assuming they're decent socks you still want to wear. Learn how to identify common trees & other plants in your area. Learn to read a map. A real, actual, paper map. Learn to start a fire using a flint. Learn how to paddle a canoe. Learn how to properly hang a hammock. I know you see where I'm going with this.... A year long learning project culminates in an awesome camping trip during which s'mores are devoured nightly. The next year could focus on a trip to a foreign country; greetings, etiquette, customs and so forth. Old-fashioned games month: marbles, hopscotch, stilts, hoop-rolling, jacks, shuffleboard, dice games, and many more. I really enjoyed learning to play marbles at this age. I always thought learning about a place a month would be fun, too. I'm not sure if you could work it in with a skill? Skil: Origami Learn about Japan: Watch Seven Samurai and Totoro, make bento boxes and have a picnic at a Japanese garden, go to an Japanese art exhibit, look at Japanese street fashion on Tumblr. Look up the weather on line. For each country there are great movies, documentaries, web cams on line. You can check the weather everyday, review their money (you can go exchange for some at the bank), look at their wildlife, shop a section in good grocery stores, make recipes, and google street view their major attractions. You can research each kid's interests... love fashion? check out their street fashion, love video games? this is what is big in their country, sports? Here is what is popular in their country. I bet a lot of the snacks and drinks are available online. Make Stonehenge model out of brownies, Build the Eiffel tower with spaghetti and mini-marshallows! Italy: Roman numerals, learn to clean the bathroom (They had sanitation first), make fresh pasta (or should that be China? ), walk the Colluseum, learn about Pompeii (Vesuvius) and walk the ruins in Google, make a cardboard gladiator costume. Soldering is a skill that has been very helpful in my life get a midrange Weller iron and all the cleaning supplies and put some LED lights in fun/useful places. This question reminds me of some of the hacks that the dad would teach his kids in the book Cheaper by the Dozen. Might try checking out that book to get some other ideas. Emergency preparation month - learn what things you should be prepared for in your particular community (e.g. earthquake country or tornado country? ), learn what specific things you should do in that sort of natural disaster, come up with a family plan for various contingencies (what do we do if a disaster hits while mom & dad are at work and kids are at school? ), practice drill events, make an emergency kit together which everyone knows how to use & store, and set-up reminder system to replace items in the kit. Here's the CDC's page on the topic, which is a good basic overview. Basic first aid - what to do with small cuts, burns, light sprains, headaches, etc., and how to determine if you need a medical professional's help. I was 10 or so when my dad taught me how to get splinters out. Plan the family summer vacation - basics of transportation planning (booking a flight, mapping out a highway route), budgeting for food/places to stay/things that are fun to do but cost money, finding coupons and deals, figuring out what things you need to pack or buy in advance, figuring out how to look up information about a new place. 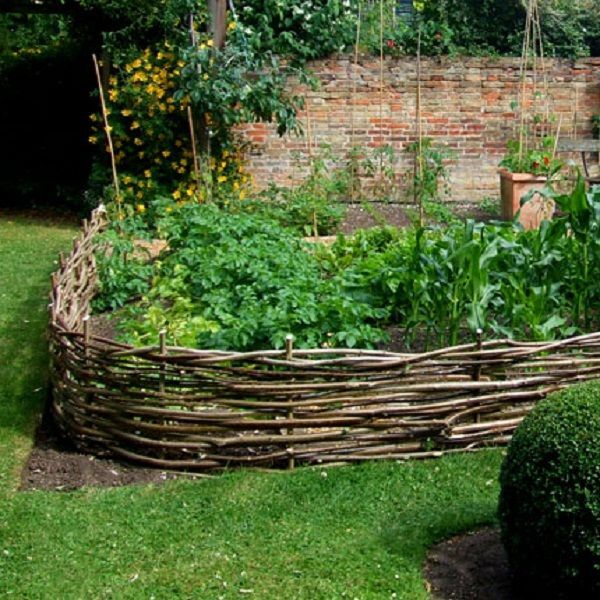 Gardening - maybe this would be a good year to plant a family garden? My family went all in one year - lots of squash, rows of corn, etc. etc. It was pretty fun. Having each kid pick vegetables of their own to plant & care for might encourage the eating of said vegetables, if that's a battle you regularly fight. Patching jeans, sewing buttons, hemming pants, darning a sock, repairing sweaters with a crochet hook and a few stitches. You could start a blog to document your learning. Everyone could learn interviewing, simple video production, simple news-story writing, and coding! Use a map & compass. Throw "like an athlete" (and not "like a girl"), which a lot of adults and boys don't actually do right -- and the proper motions of which translate into other physical skills. Make Japanese carp kites out of Tyvek mailers for Boys Day. Making zines and/or simple books. Making a wattle edging for a planted bed in your garden or even raised planters made entirely of wattle might be fun. The material can be gathered in the wild, trimmed from your own yard, or purchased at a home/garden centre. I'm going to flag this whole list for neat ideas for my kiddo, there are a lot of great ideas on here! I believe there were some first aid scenarios in there, too, like wrap a sprained ankle or bandage a large wound until help arrives. Sign language is a GREAT skill! I know just a little bit and I have been in many situations in public where I at least knew the alphabet to translate. If you're going to cook, then sew aprons first! And there's always board games, especially cooperative ones. My parents taught proper table etiquette over the course of one summer and fall, wherein the after dinner chores (clearing table, putting away leftovers, loading/unloading the dishwasher) were "awarded" to the child eater who amassed the highest number of "points" during the dinner. There were three of us -- 12, 11, and 9. Points were for things like holding fork wrong, chewing with mouth open, not putting napkin on lap, not putting silver appropriately on plate when done eating, not saying please and thank-you, not asking if anyone else would care for some more of (whatever) before taking the last of it, etc. Lots of good stuff here, but I don't see how to tie a tie (Windsor knot) mentioned, which is useful to know for both boys and girls. Learn how much stuff costs, like rent, utilities, food. Learn to make a (rudimentary) budget. Learn how to be persuasive. Want mom and dad to buy you a new toy? Sell me on why, and not just "because I want it". I have not made my way through all previous suggestions, but I vote: learn to use basic tools. Not just the screwdriver and hammer, but levels, compasses, drills, sander, hand saw, and axe (if your children are old enough). I am in my late 30's and took a community wood working class recently...surprised to find that I was the only one who had never used a drill before. How did that happen? Spin yarn on a drop spindle! I learned this recently, and went from purely theoretical understanding to a small skein of yarn in about a month. And then you can knit/crochet/darn with it!